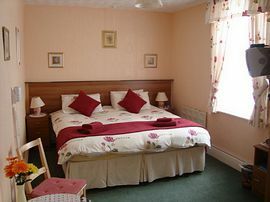 We, Steve and Sigrid give you a very warm welcome into our 10 bedroomed B&B. All our rooms are en-suite and most of them have sea-view. 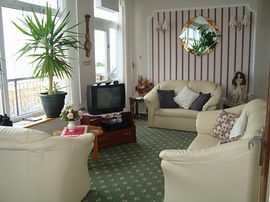 There are Tea and Coffee making facilities, hairdryers and freeview Television with remote control in all the rooms. 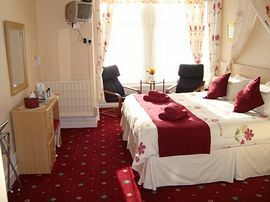 We have one deluxe room which has a super kingsize bed and excellent views over the Irish sea and the promenade. We pride ourselves on the Glenwaldens high quality of cleanliness. It is only a 10 minute walk into the town to get to all the attractions, including the Wintergarden, alternatively you can take the tram from right outside the hotel. We are also very close to the Hilton. 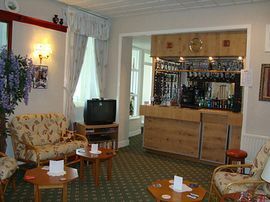 Here at the Glenwalden we offer a lounge bar where you can enjoy a relaxed, friendly drink and also a sun lounge which has excellent sea views. All rooms now with freeview television. The quality of the Glenwalden is recognised with 3 stars from Visit Britain English Tourist board. The Glenwalden is open all year, including New Year (but not Christmas). 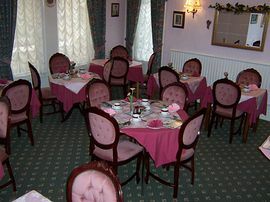 Prices vary depending on the season and how long you stay for, but are between £19.00 and £28.00 per person per night. Book any 4 nights for the price of 3, save at least £22. Sunday to Thursday or Monday to Friday. Smoking Facilities: Smoking is not allowed. We are a non smoking guesthouse. Special Diets Provision: Special diets are catered for. Vegetarian Dishes available on request. From M55 follow signs to Promenade. Continue north with sea on your left. Pass three piers and Tower. Pass Imperial and Blackpool Hilton Hotels, we are just another 100 yards away from the Hilton.